I’ve long been a fan of Master Books and the amazing works that they publish. Over the next several months, I plan to share how I’ve used their books in schooling – going back for over the last 6-7 years, especially for high school. I have this love of Creation Science, I think it all comes back to my love for God and His creation and my want of materials that can help us be prepared to defend God’s word! I believe that the Word of God is true and I am thankful for resources that help teach this to our children. Last summer I got asked by a friend if I would be interested in helping at the Master Books table at the NICHE Homeschool convention and I jumped at the chance. What an opportunity! After getting home, I was asked to come aboard the Moms of Master Books Review Team! Don’t worry I’ll be bluntly honest about whether something works for my family or not! 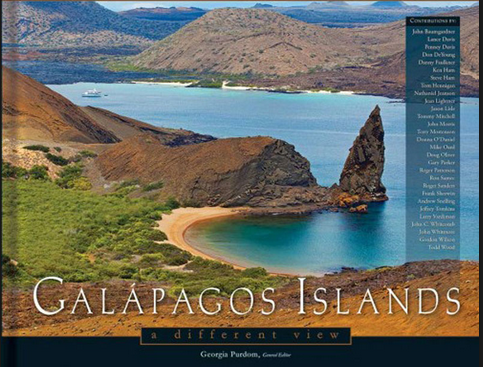 This month we received the book Galapagos Islands ~ A Different View, it is edited by Georgia Purdom and has many different contributors. The Beauty of this book starts with the cover. The amazing pictures that are used to teach are used throughout the book, drawing people into the science and beauty that is the Galapagos Islands. The book was appropriate for middle school and higher but the written material is challenging. The pictures drew in my elementary students and we had great conversations. We were familiar with many of the concepts thanks to our field trip to the Creation Museum but some of the kids didn’t remember as much so the pictures really brought up an opportunity to revisit those concepts. The best example of this was the Finches and the Tortoises. The book is not just beautiful (which it definitely is) it is primarily scientific. This is where its true beauty comes in, this book gives a defense of the young earth creationist perspective using the SAME place that Darwin once used! It covered the topics of geography, climate, the volcanic activity, the animal and the plant life on the island from an in-depth perspective offering both the evolutionary and the Christian young earth answer. It also adds some personal experiences of people being at the Islands and what it meant to them from a biblical worldview. What an encouragement! If I ever had the opportunity to visit the Galapagos Islands, I would jump on the opportunity – and this book would go with me! It might not be a book we use frequently in our homeschool but if you are covering Creation or Darwin, this is definitely a book I’d want on our shelf! Check out this video from New Leaf Publishing to get a glimpse yourself! This entry was posted in Uncategorized and tagged Homeschooling, Moms of Master Books, Review by familyplushomestead. Bookmark the permalink.